British celebrities are paying for coaches to bus anti-Brexit protesters to London for a march on Saturday demanding a second referendum. Those paying some £1,000 per coach include actor Sir Patrick Stewart, comedian Steve Coogan, and celebrity cook Delia Smith, reports The New European. “The ‘Put It To The People’ march may very well be our last chance to demand a democratic final say on this mess before it’s too late,” added the actor, who said in 2017 he wanted to gain U.S. citizenship purely to “fight” U.S. President Donald J. Trump in the polls. 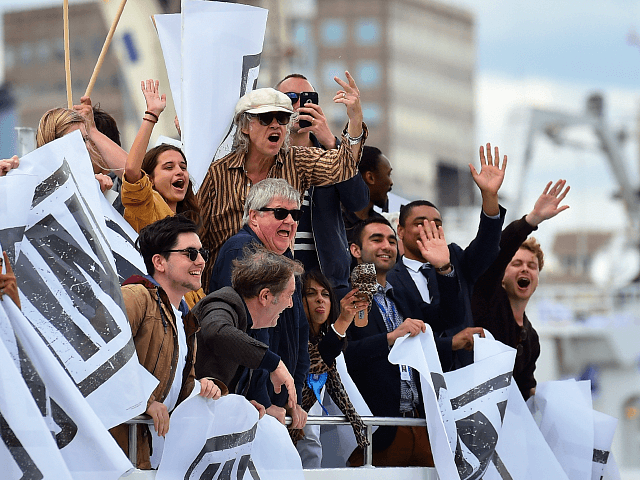 The globalist-left protest recalls the infamous ‘Battle of the Thames’ in the run-up to the 2016 referendum, where an armada of Remainers in boats, led by singer Sir Bob Geldof in an expensively chartered floating ‘Gin Palace,’ berated and verbally abused the flotilla of leavers and fishermen campaigning for Britain’s independence. The grassroots March to Leave — a trek from Sunderland to London — will culminate in a rally in Westminster on Friday the 29th of March, where citizens will demand politicians fulfil the will of the people.